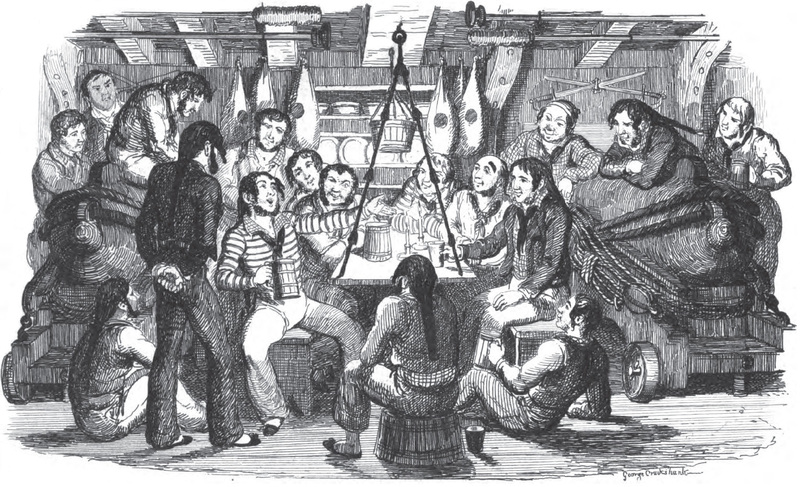 These are some of our favourite boating and maritime tunes, sea songs and videos online, including shanties. Paddy West’s House, from the post Paddy West’s House! Lowlands, from the post Lowlands away! I saw Three Ships, from the post Merry Christmas and happy holidays to all our readers and contributors! The Bold Princess Royal, from the post If the Bold Princess has sea-room, brave boys never fear! I saw a short film as a child (I’m 60 now) that moved me deeply, about a boy in London who had to get up very early because he had a job on a river barge or tugboat. What I loved about the film was its atmospheric, moody quality, with sounds of the river in the early morning mist and dark, and everyone speaking in muted tones. I recall that the captain of the boat and the boy’s family were concerned and loving, attempting through the job to help the boy, who was withdrawn, come out of his shell. And that they succeeded. It may have been a documentary. I believe it was originally a British TV production. I always thought I’d seen it here in the United States on the wonderful CBS Children’s Film Festival. But I found a list of all the CFF shows, at http://kukla.tv/cbs.html and none of the descriptions matched the film I’m remembering. I thought I’d ask you, though I realize how obscure this might be. Would any of you happen to know anything about this film–the title and other production credits, and where I can find more information about it, or possibly view it again? Thank you for your responses. Saw the CNBC film The White Ship, about the Portuguese dory schooner Santa Maria Manuela on youtube. Want to buy a copy on DVD. Does anybody stock this film on DVD? I’m sorry – I really don’t know.